These Merchandise Display are Just Some of the Many Retail Fixtures Currently for Sale! Be Sure to Check Out Every Model in Our Vast Selection of Merchandising Tools! 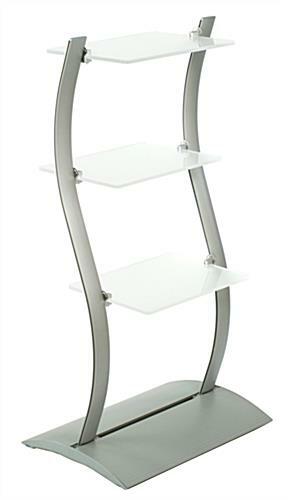 These Merchandise Displays Feature Height-Adjustable Shelves! 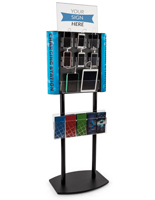 These merchandise displays, like many of the wave stands, have a curved design that allows for advanced adjustability. 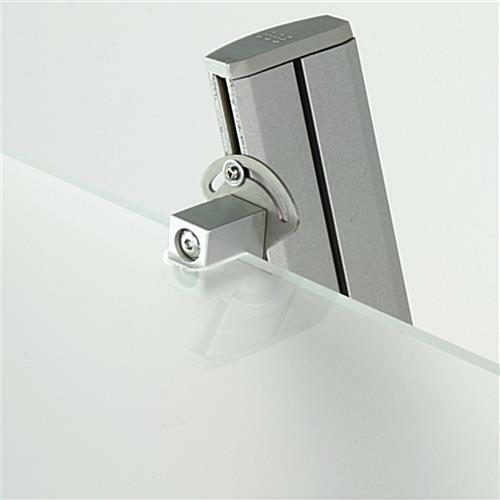 The shelves are attached by sliding the side supports down the channel and are tightened once at the desired height. 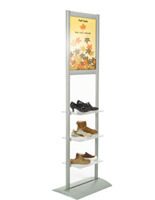 Therefore, the merchandise displays are quite versatile and can showcase a number of different sized wares. The base of each unit is stable and is sure to withstand high traffic environments. In fact, the merchandise displays are commonly set up out on sales floors or in trade show booths. The open layout of the holders makes it easy for viewers to see the goods from both sides for more exposure. 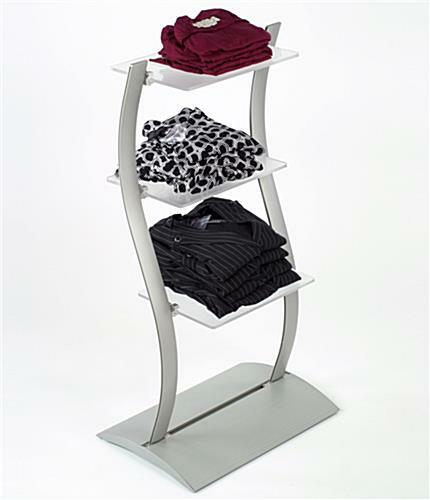 The retail shelves, merchandise displays provide an exciting alternative to basic racks. Not only are the stands more stylish, but also they are made from durable materials. 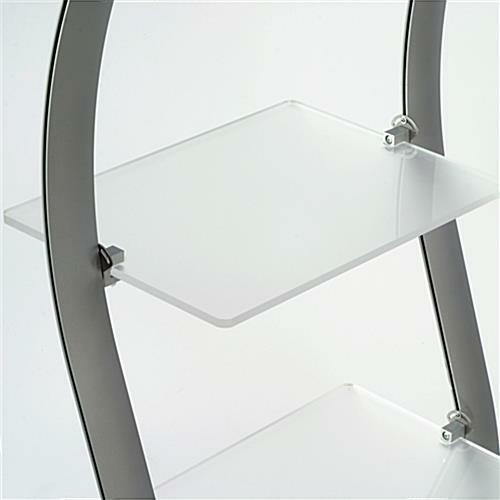 The merchandise displays feature an aluminum extruded base and uprights as well as tough frosted acrylic shelves. These rugged substrates will definitely hold up in fast-paced businesses. The merchandise displays provide three different levels. This way, users can effectively organize and present their goods. The merchandise displays are finished in silver and will blend in with any professional setting.